A visit to Greenhill Farm in Lidgetton, owned by Stuart and Lola Crawford and assisted by their daughters Taryn and Haley, reveals a beautiful farm where the horses needs always come first. 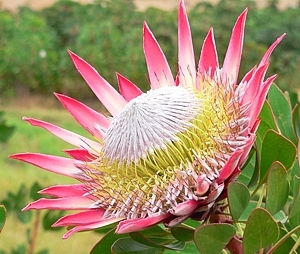 Not only do Stuart and Lola breed and raise Gr 1 winning horses, they also grow South Africa’s national flower – the King Protea on a commercial basis. Both Stuart and Lola Crawford’s daughters were born and raised at Greenhill and they have inherited their parent’s passion and enthusiasm for Thoroughbred breeding and racing, and compete in Showing and Showjumping. Walking through their large, and spotless, red-brick barn revealed a number of young, very well-bred horses that will soon go be moved to Ashburton to be trained under Lola and should start running mid-January – including a very impressive (and tall) chestnut Spectrum filly, with others by Kahal and King Of Kings. Taryn who has completed her degree in agriculture will assist in managing the racing yard while she continues her studies and passion for photography. 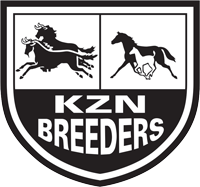 The progeny they breed are predominantly by Summerhill sires – with a plenty of quality, well-bred stock and subsequent broodmares from top sires Kahal and Muhtafal (now at Bush Hill and Spring Valley Stud respectively). 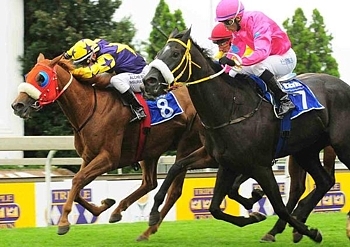 Amongst their broodmare band are the likes of Catch Twenty Two and Little Legend. Catch Twenty Two, by Imperial Dilemma out of Coconut Ice by Jungle Cove, now an older mare in foal to King Of Kings, is the dam of sire Damage Is Done at Yellow Star Stud – a stallion that is closely bred to the late great Jet Master – who from his small crop of foals has already produced several winners and Black Type with filly Shattered Image. The other is Little Legend (by Complete Warrior out of Little Inagua by Welsh Harmony), a charming chestnut mare who has produced Gr 1 winner Spiced Gold (by Kahal). She has produced a full sibling to Spiced Gold who has now gone into training, an outstanding bay colt named Dream Hunter – and an equally good looking chestnut yearling colt by Kahal. Little Legend is in foal to King’s Chapel this year and it is going to be quite exciting to see the foal that results from that mating. 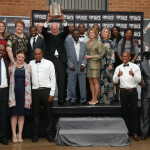 Spiced Gold won four times out, including the SA Fillies Classic Gr 1. 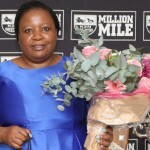 She also ran three lengths off Fisani in the Gauteng Fillies Guineas Gr 2, a close third in the Gr 1 Golden Slipper, placing in the Gr 3 Fillies Mile at Turffontein as well as running four lengths off Imperious Star in the Gr 1 Woolavington – all of this from a filly who sold for just R50 000 at the 2008 Emperors Palace National Yearling Sale. Other Black-Type mares on the farm are Sweet Seduction, Fluent Beauty, Nettle, Queens Review and Imperial Image. 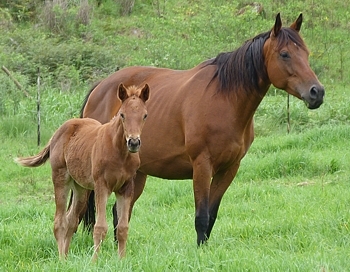 The foals and yearlings at Greenhill stand out in size and bone substance, and Lola puts this down to a truly unique feeding method they utilize – Greenhill creep feed their foals with a mix of lucerne and concentrate feed fed ad lib until the horses are two years of age. Clearly it’s a concept that works – the foals are in perfect body condition and well grown – and there isn’t the need to “pig out” so to speak as they know the food is readily available and there is no rush to eat it – they only eat what their bodies need. Lola says they have also noticed their young horses growth is therefore very steady and stabilized – if their growth was compared to a graph there wouldn’t be sharp “spikes” in upping feed for growth, and this means it is also good for the horses legs as they grow naturally without sudden amounts of increased feeding, resulting sudden growth spurts which can affect a young horses knees. Lola points that that mares and older horses are fed individually with nose bags – that way they can control exactly what each horse is taking in as well as any additional additives that may be required, and without the horses being aggressive over food at feeding time. The mares are also assessed after each foaling. Lola says if they feel the mare has had a difficult foaling or drops off condition after foaling, they will leave her barren for a year to give her a rest and try the next – which she says has had positive results with getting mares back into foal the next year and many of her older mares are still able to get into foal, foaling big healthy babies. Greenhill Stud have always stood out the sales with their yearlings immaculately turned out, including plaited manes and stables decorated with eye-catching Proteas. 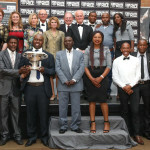 Their top-selling horse to date has been Devon Gold, by Muhtafal out of Ad Infinitum by Among Men, for R600 000. Devon Gold has already won twice and placed 11 times, including second time out in the Godolphin Barb Gr 3 Stakes.